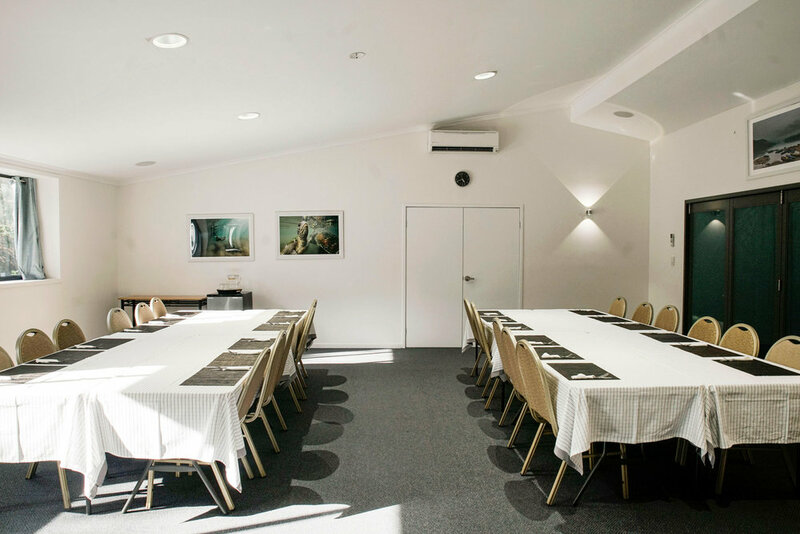 Booking your next event, training, seminar, meeting, conference, workshop or function just got easier and more affordable with our modern, purpose-built function room. Located by the beautiful Lagoon Creek, our function room offers a unique and fresh experience. We offer a comprehensive range of room hire and catering packages to suit all budgets and requirements. We take pride in our flexibility to meet your special requirements therefore ensuring a very pleasant and memorable experience. Even after your meeting or event has adjourned for the day, your memories will continue to flourish as our idyllic environment emanates tranquility and that feel good factor. Lagoon Creek also offers three separate break-out areas, two are situated in gardens, that are ideal for facilitating break-out sessions, places for quiet reflection and separate places for scheduled breaks. Everything is on hand to ensure that your individual needs are met. Cold water, percolated coffee and selection of teas available on arrival and throughout your function. See our comprehensive range of catering packages to suit all occasions from small to very large. Our catered functions are hosted in our purpose-built function room or in the spacious gallery/breezeway, surrounded by our tranquil gardens – perfect as break-out points. Formal, or semi-casual, small group or very large, our functions leave positive, lasting impressions. Our function room can be laid out in many formations. These are just a few examples.